This RUN comes signed and numbered with a Certificate of Authenticity from Cryptik. 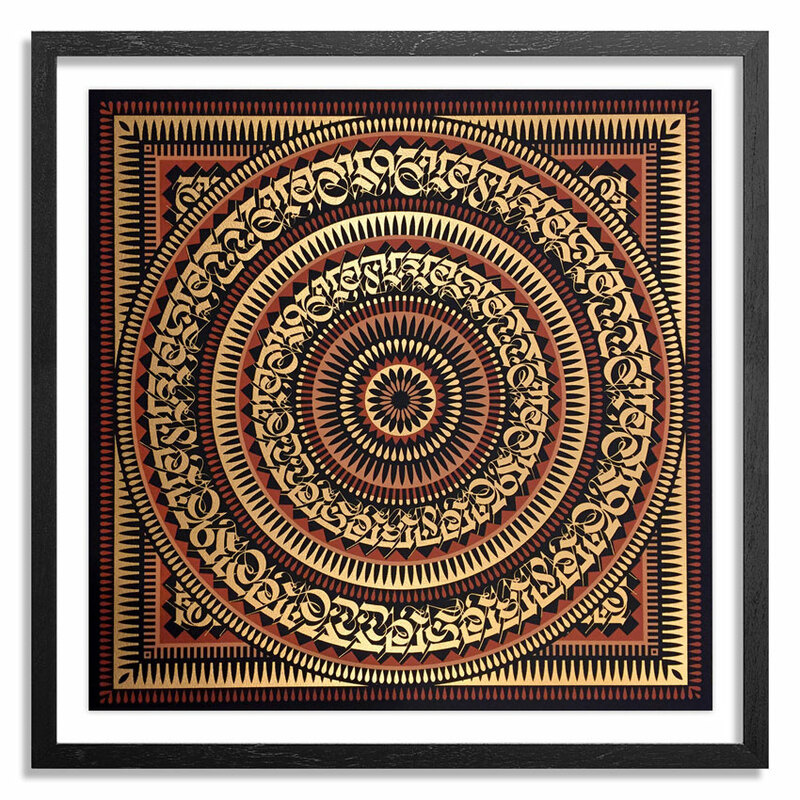 Cryptik, a Los Angeles based artist, creates works of art that explore the realm of spirituality and consciousness. His iconic depictions of deities and spiritual leaders, along with his signature style of calligraphy, can be seen throughout Los Angeles, adorning the urban landscape and galleries alike. The Cryptik Movement is a public art campaign dedicated to helping humanity evolve towards greater awareness and understanding through the use of compelling, iconic imagery that demands both scrutiny and reverie.